Wednesday, May 23; 2018, Malta – Focusing on Asian-tailored products and advanced slots gambling technology, Wazdan caught the eye and interest of many visitors and companies during this year’s G2E Asia. 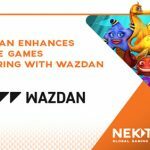 Wazdan’s stand became a hot spot for slots demos and operator discussions with the company winning G2E Asia’s Hot Hit Award for their new Asian game 9 Lions, which is packed with new and exciting features courtesy of Wazdan’s technology leadership. Operators in the region praised the professional presentation of Wazdan’s Asian portfolio. The technology company successfully entertained all attendees stopping by to review the latest product developments and innovations, particularly the Unique Wazdan Features, that include the world’s first Volatility Levels TM, Energy Saving Mode, Double Screen Mode and Unique Gamble Feature designed with a focus on casino operators and their players. 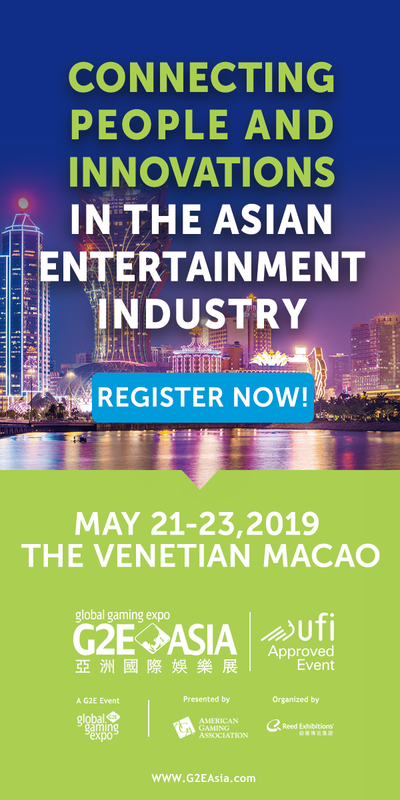 Exhibiting for the first time at G2E Asia, Wazdan has launched its intentions in the Asian market, recording many new leads and excellent client prospects. Wazdan’s innovative tools have boosted business for their operating partners as well as Wazdan’s revenue by double-digits in the past few months, having signed a spate of new deals. 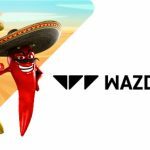 Wazdan’s innovative slots access to an estimated player base of at least 10 million players, with Videoslots, EveryMatrix, Solid Gaming, Twelve40, EvenBet, iSoftBet, AleaPlay and Jumpman Gaming, all having signed with the company since the beginning of the year. 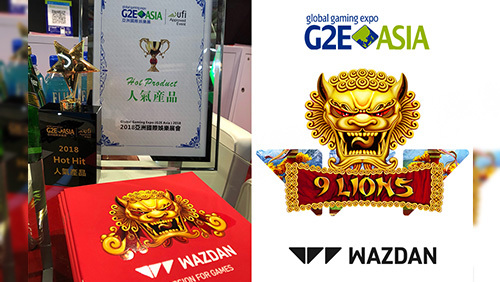 Wazdan continued their successful year with a G2E Asia Hot Hit Award for newly launched 9 Lions, another new slot for Wazdan’s Asian-inspired product portfolio. 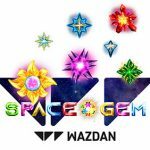 Wazdan is a popular game producer, developing innovative casino games that deliver original, fun and truly omni-channel player experience. 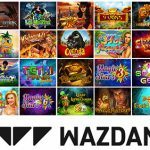 Offering an extensive game library of over 100 HTML5 slots, table games and video pokers, Wazdan is gaining popularity on the iGaming market thanks to the great quality of their games, interesting themes and engaging gameplay. 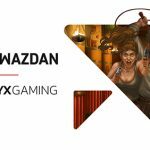 Wazdan’s game portfolio consists of such popular titles as Great Book of Magic Deluxe, Magic Target Deluxe, Valhalla and Wild Guns and soon will extended with new amazing slot games, including Los Muertos, Mayan Ritual and Captain Flynt, among others. Wazdan releases new, exciting titles on a regular basis and equips them with Unique Wazdan Features: innovative Volatility Level, exciting Unique Gamble Feature and mobile-friendly Energy Saving and Double Screen Modes. Wazdan holds a number of European trademarks including for their world’s-first Volatility Level. Their extensive portfolio of clients includes some of the top gaming operations in the industry. The company is headquartered in Malta and holds licenses issued by the UKGC, the MGA and complies with Curacao regulations. Furthermore, their games use the RNG certified by the NMi, which ensures reliable, fair and secure gameplay. Wazdan’s Sales Team is showcasing their products at iGB Live! in Amsterdam from July 17th to the 20th.